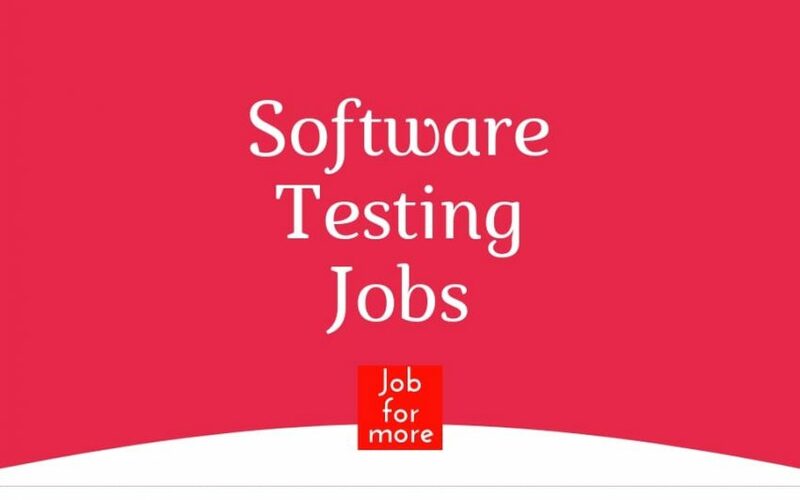 Are you looking for Manual Testing Jobs in Bangalore, Hyderabad, Pune, Chennai, and Mumbai?? At least 4 years of experience with writing and executing test plans, test scenarios, and test cases for web applications. Understand requirements at the beginning of each Development. The sprint from the Development Team. Prepare test plan, test cases and test scenarios for each sprint. Execute the Test Cases and prepare Testing Reports. Provide Feedback to the Developer and work with them to resolve the identified defects. Familiarity with software defect management process. Responsible for Product Quality, Test Case Design, Defect tracking & Closure. Execute planned testing tasks and provide timely and accurate analysis of findings. Creates test cases, prepares required test data, and executing the test cases. Proven work experience as a Manual test engineer. Experience in product lifecycle management, Agile/Scrum methodologies. Should have good knowledge of software testing life cycle and development life cycles. Experience in understanding the software project requirements, Analysis and converting requirements into test cases. We are looking for professionals who can work on client-server applications, designing, and coding solutions. Should be 7 – 9 years of IT experience with a strong emphasis on analysis, design, coding, and unit testing. Well-versed in Big Data related skills such as Hadoop, Map Reduce, Hive, Yarn, Spark, Scala, and Java. Extensive experience in handling the tools such as Eclipse IDE, IBM Rational, Apache Sqoop, and Hue. Worked on Sqoop to import data to Hive. Strong in Manual testing concepts. Knowledge in Selenium with Java (Automation Testing). Diebold Nixdorf India Private Limited. Interviews on Saturday, 22nd Sep. Interested candidates can apply or call on 022-66497516 to fix the schedule. (Interviews only for who take appointment). Must have good analytical and troubleshooting skills. Review, analyze and understand the product requirements. Experience in scripting languages such as Powershell /Groovy /Shell scripts. Experience in test automation tools and test automation frameworks for UI, API and Mobile testing. Programming of APIs in a combination of the following: Java or C#. Experience in implementing CI/CD with Jenkins. Performance, load, concurrent user and stress testing development, execution and publishing results. Generate test summary reports for management review. Analyse root causes of performance issues and provide corrective actions. CGI Information Systems and Management Consultants Private Limited. Performs routine activities related to applications development. Focuses on learning and acquiring work skills / knowledge in the Applications Development field. Responsible for writing test cases, automation scripting, executing them and maintaining the relevant logs. Analyzes test results to ensure functionality is implemented correctly and highlights them in case it is not so. Manual Web UI functional testing Candidate is expected to have Foreign Exchange experience of 2 years. HP QC or ALM, JIRA. Selenium, UFT. Should be able to work in the team and have good communication skills. Must have project experience in Coded UI and Web API Testing. Should have hands on experience on Automation Testing. Good to have knowledge on Database testing. This is a Fixed Term Contract Role for a period of 11 months, Shortlisted candidates will be invited for in-person interviews on 22nd Sep at BLR office. 3. Ability to writing new test cases for the feature, execute and maintain. 4. Break the code attitude. 5. Self-motivation and a strong bias for action; the ability to hit aggressive productivity goals without micromanagement.